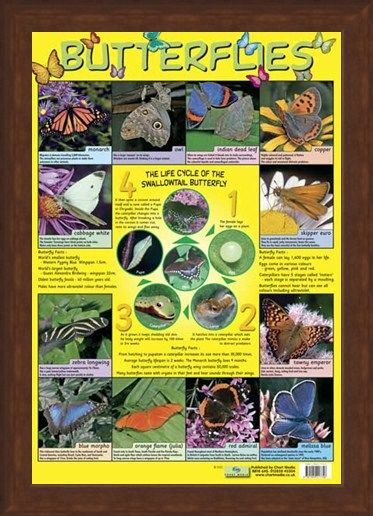 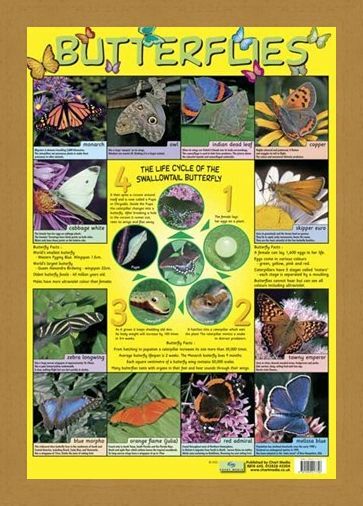 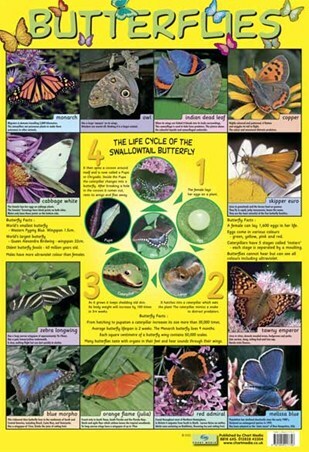 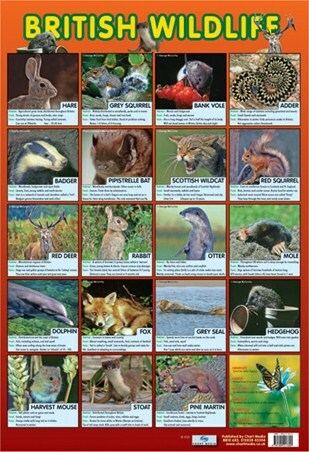 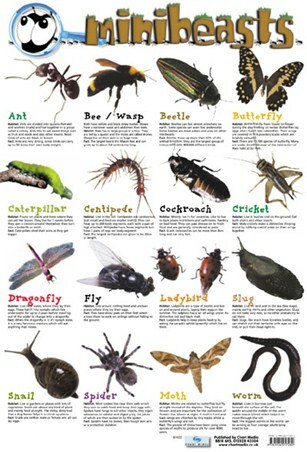 Educational Mini Poster: Welcome to the beautiful world of the butterfly as the insects show us just how stunning they truly are. This glossy poster is packed full of incredible photographs of a number of different butterflies including, the Blue Morpho which lives in the forests of South and Central America and has an amazing blue and purple pattern. Also pictured are the Cabbage White, Zebra Longwing, Orange Flame, Red Admiral, The Owl and even the endangered Melissa Blue. 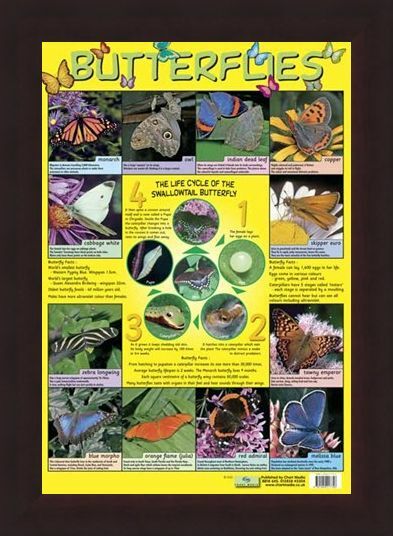 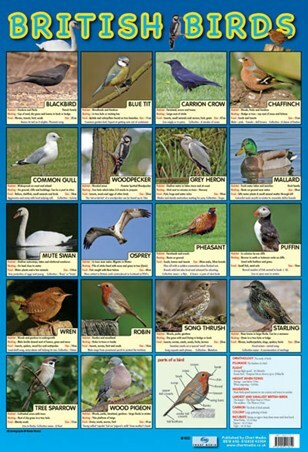 This poster is full of interesting facts about the stunning insects including, a female can lay 1,600 eggs in her life and butterflies can not hear but can see all colour including ultraviolet. Step in to a world of beauty with this magnificent poster that will teach you the ways of the glorious butterfly. 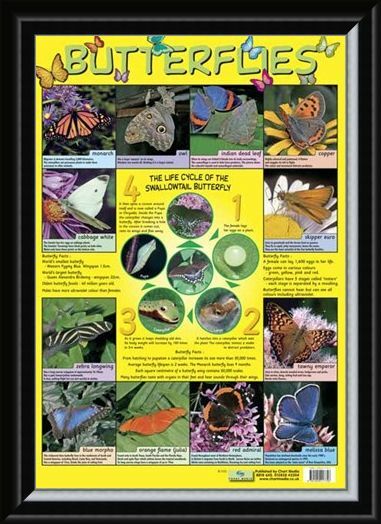 High quality, framed Butterflies, Life Cycle mini poster with a bespoke frame by our custom framing service.